« What’s a Session Really Like? Donna Eden will be in Cleveland on May 7th! 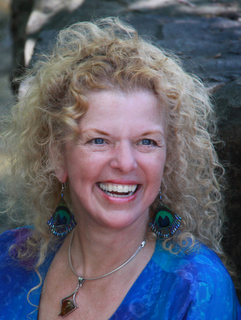 Our wonderfully joyful energy medicine teacher, Donna Eden, will be in Cleveland to teach a 3-hour class on the evening of Wednesday, May 7th! Donna Eden is a gifted, brilliant healer who has taught many thousands of people from all parts of the world to help themselves through simple energy tools, using their own hands. I have been studying and using Donna Eden’s work for over 10 years, and it has changed my life. I began by learning her Daily Energy Routine. While I am now an Advanced Practitioner of Eden Energy Medicine, I return to that simple routine at least once a day to refresh and organize my basic energies. Donna will be teaching this routine at the May 7th class. I hope you will come. It is an amazing experience to be in the same room with Donna Eden. I have never met anyone so overflowing with joy and love, and I have learned more from her than I can describe.